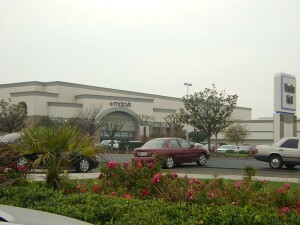 Visalia, California — An elder at a California church has filed suit against a local mall for threatening him with arrest if he did not stop sharing his faith with shoppers. John Vadnais had regularly visited the Visalia Mall to shop and eat, and sometimes to also share his faith at the same time. However, when mall officials discovered that he was telling other shoppers about Jesus, they sought to put an end to it. McReynolds told Christian News Network that mall management and security continually took issue with Vadnais’ activities and would try to explain away why he couldn’t talk to fellow shoppers about his faith. Matters came to a pinnacle, however, when the police became involved and security officers threatened to have Vadnais arrested. Not wanting to be jailed over the matter, Vadnais simply stopped sharing his faith at the mall. That was over a year ago. However, throughout 2012, Vadnais continued to communicate with mall management in an attempt to regain the right to speak. Therefore, Vadnais felt that he was left with no choice but to seek intervention from the courts. The Pacific Justice Institute of Sacramento has now filed a complaint on his behalf. At issue in the case is whether the mall has the right to evict Vadnais from the premises over his faith-filled discussions with shoppers in the commons area. Visalia Mall says yes, the Pacific Justice Institute says no. However, McReynolds noted that in 2010, the Pacific Justice Institute won a lawsuit regarding a very similar situation where a youth pastor named Matthew Snatchko had been arrested for sharing his faith at the Galleria Mall. The case went all the way to the California Supreme Court, which determined that Snatchko had a right under the state Constitution to share his beliefs at the mall, and therefore, his arrest was unlawful. The Pacific Justice Institute plans to file for an injunction as the case moves forward. They believe, however, that attorneys for Visalia Mall will likely attempt to have the case dismissed first.